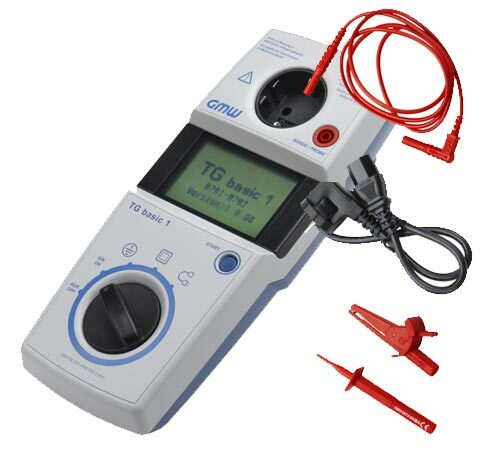 The safety tester TG basic 1 is battery-operated. The safety tester TG basic 1 is easy to use because of the automatic test procedure. The safety tester TG basic 1 of GMW measures the protective conductor resistance, the insulation resistance and the equivalent leakage. The safety tester is simply operated via the rotary switch and the start button. Because of the plain text display and the good-bad rating, instructed staff can execute VDE tests for portable devices with the safety tester. In addition to doing hardware checks, the safety tester can also test extension cords in accordance with DIN VDE. Due to its robust design, the case of the safety tester TG basic 1 is suitable for mobile use. 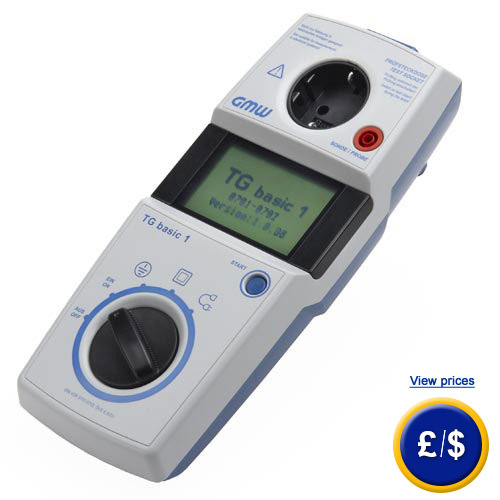 Because it is battery operated and easy to use, GMW’s safety tester TG basic 1 is especially interesting for smaller companies or service technicians. If you have any questions about the safety tester TG basic 1, please take a look at the following technical data or use our contact form. Our technicians and engineers would be pleased to inform you concerning the safety tester and all other products in terms of regulation and control, or scales and balances of PCE Instruments.